It seems inconceivable to think that your loved one is never coming home again. You will never forget receiving the notification of his work accident. That was bad enough. Learning that the accident took his life is beyond comprehension. You were already living paycheck to paycheck. How will you ever survive now? Unfortunately, this general scenario is not an uncommon one. Many American families have a hard time putting funds away in case of emergency. You may even be worried about giving your loved one a proper funeral. You might be relieved to know that there may be benefits available for work-related deaths. Lost wages would be calculated based on 75% of the decedent’s average income up to a maximum amount. This number relates to the year the accident occurred. The maximum rates can be found in this chart. For example, the maximum death benefit available for a 2017 accident is $913. Death benefits are available to spouses unless they remarry. At the time of the remarriage, the spouse would receive a one-time payment representing 104 weeks of the death benefit. Children and grandchildren may also be entitled to a share of the weekly wage replacement. In some cases, a company may purchase accidental or life insurance policies for their employees. However, the Texas Department of Insurance is quick to point out that these alternative plans do not constitute workers’ compensation insurance. Recovery under any of these policies would not preclude a lawsuit against a non-subscriber employer. In order to pursue a non-subscriber lawsuit, it is important to speak with an experienced personal injury attorney. The first thing will be identifying the individual who is entitled to pursue the case. Like other wrongful death actions, there are rules concerning this. Take a look at the article we wrote that details who may pursue this type of claim. What could be considered negligence when it comes to the deceased’s employer? It could be an unsafe working environment. Equipment might be poorly maintained and repaired. Perhaps a co-worker contributed to the fatal accident. 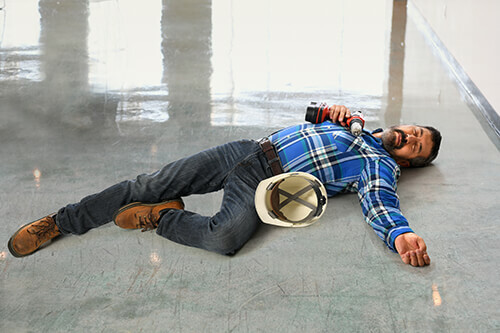 There are many reasons that an employer can be held responsible for a work-related death. Have questions? At de Lachica Law, we can assist you regarding the work-related death of your loved one. There is no charge to meet with us. Contact us to learn what benefits may be available to you.